Hot on the heels of plans from the Centurion Group to create a whole new twitten in Brighton’s famous Lanes comes a proposal from Alaska Development Consultants to turn the derelict Hippodrome into an eight-screen cinema. The building began as an ice-rink in 1897, and became the Hippodrome when it was converted into a variety theatre by the famous architect Frank Matcham in 1901. Its name presumably comes from its equestrian capability. A dedicated horse entrance leads to the stage, and is said to be the only surviving example in the country. Although it said to have once been by an elephant on the Hippodrome’s opening night, the name actually comes from ‘hippo’ – the Greek word for elephant. After a period of use as a bingo hall since 1967, the Hippodrome closed in 2007, and has sat derelict ever since. Just as cinemas and theatres fell out of favour too as the Astoria on Gloucester Place and Granada on Portland Road in Hove found out, bingo halls did too. The Granada is now gone and the Astoria’s Grade II listed status is unlikely to save it. The Grade II* listed Hippodrome is too important to lose but making a scheme work financially will be difficult. In 2010, Academy Music Group, the building’s leaseholder, suggested that soundproofing alone would cost around £3 million. The current plans are no doubt innovative. 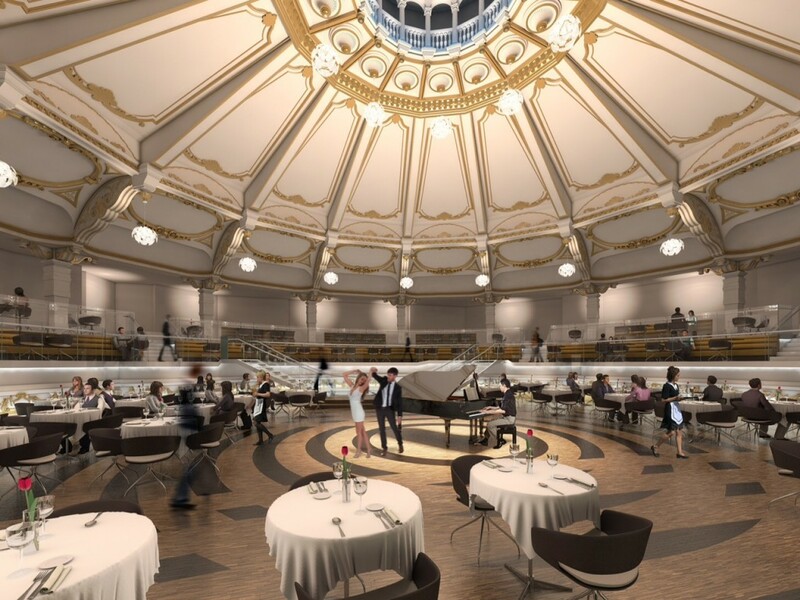 The £20 million proposal includes the sensitive installation of cinema spaces over the Hippodrome’s auditorium. A large area would be left between the cinema and the highly decorated ceiling. This area would become a restaurant and café where customers would be able to see the ornate ceiling up-close. 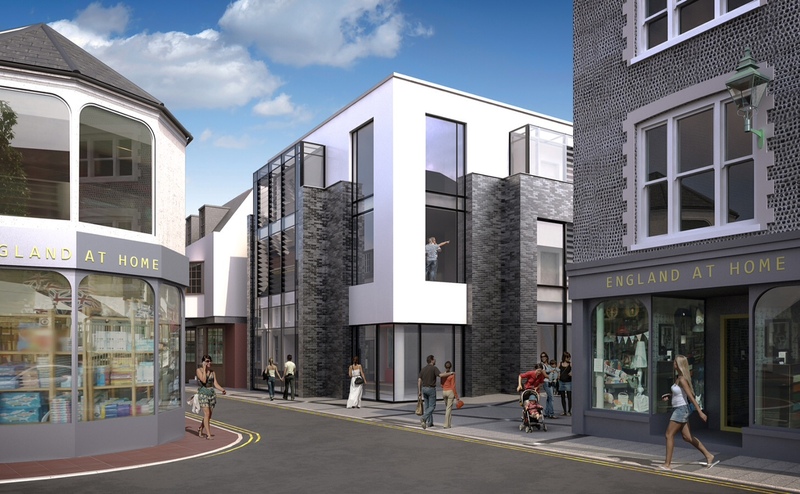 The plans would see the building restored and new pedestrian areas created between Middle Street, Ship Street and Dukes Lane. Rather fittingly, bearing in mind the Hippodrome’s equestrian history, the building was bought by Cheval Properties in 2007 in a deal that included Dukes Lane. The Hippodrome was leased to Academy Music Group with the intention of creating a concert venue. Alaska Development is now working with Vue Entertainment and Russ Drage architects on the latest proposal. In principle, I am in favour of the scheme. Continued usage is key to the long-term survival of any building. The last thing that we want to see is another ‘accidental’ fire. That said, any proposals involving major alterations to the Hippodrome’s interior must be reversible.